Since the conferences wrapped up I had been thinking about a potential game of the show, and eventually, things began to take shape. I had a hard time choosing just one game, there were too many that looked fantastic. I did manage to narrow it down to three, from there I ranked them and came to a conclusion I was pretty happy with. I sat on it for an extra day just to make sure, and I still felt pretty good about this lineup. Instead of just picking one though, I want to list all three, as they all deserve credit and recognition. I played Halo 4 and couldn’t tell you anything about it. It was definitely my least favorite entry in the series. I knew a new Halo game was coming, but the excitement wasn’t there for me, that spark had died. Then I watched the Microsoft conference. At the very least, the story of Halo 5 has the best pitch out of any of the series. You play as a Spartan group hunting down Master Chief, with play alternating between both parties. 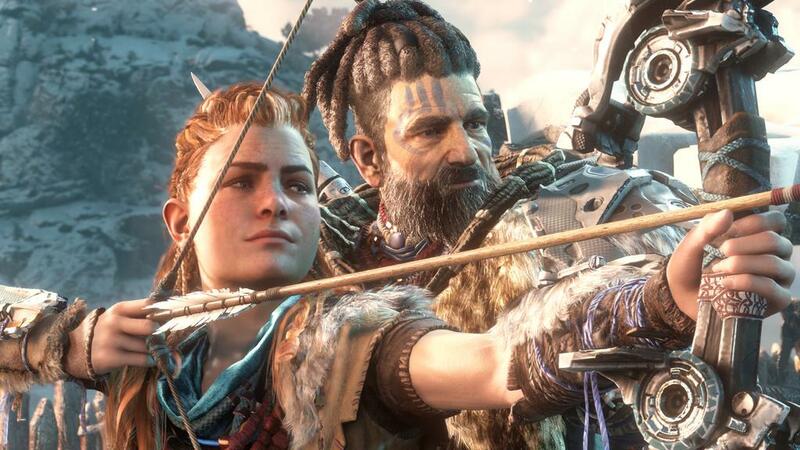 I really want to see how that hunter/hunted game play works, especially given that we’ll be able to play as both characters, there’s potential for some really great moments. A return to the squad based story, similar to Halo Reach, is really exciting also, as that was one of my favorite Halo games. The story isn’t the main reason why Halo 5 grasped me though. 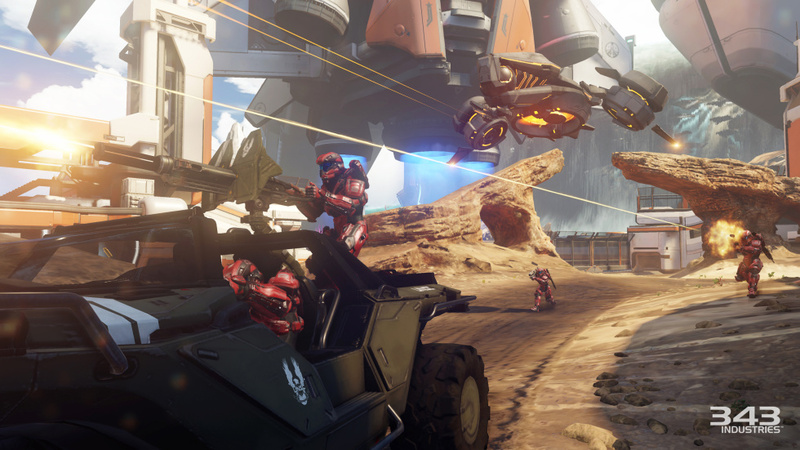 The new multiplayer mode, Warzone, looks like a revolutionary mode that I’m dying to play after seeing videos of it. It’s a mix between PvE and PvP. It can be boiled down to a regular conquest game mode, but the twist is that there are now waves of AI controlled creatures roaming the map trying to kill both teams. The AI actually looked difficult too, they didn’t appear to be pushovers like seen in Titanfall, as I saw them kill the player a few times. In addition, there’s a new inventory, and weapon select mechanic that basically allows you to buy weapons, equipment and vehicles, based on how well your team is doing. The updated controlling mechanics that Halo has been missing out on, like aim down sights, combined with all this has me incredibly excited for Halo 5 Guardians and has nearly sold me on an Xbox One all by itself. Giant Bomb has a really good hands on demo with this new multiplayer mode, check it out here. This game came out of nowhere and was the best surprise of the show for me. I was never a huge Killzone fan, so it’s really exciting to see that studio doing something that seems radically different. Everything about this game interest me. The story is being presented as “post-post-apocalyptic,” so dire and far in the future that man and civilization has been reverted to a new Neolithic Era. Remnants of our current civilizations lurk, but it’s uncertain to what extent. The world is wandered by what appear to be mechanized beasts, varying in sizes and hostility. The plot is intriguing, what happened, what are these creatures, what powers them, and so on. The demo shown at the Playstation conference showed off a bit of gameplay. The gameplay looked really good, as it showed off stealth and a great third person perspective, all while hunting creatures. There was also a prompt to loot the destroyed creatures, but that was not elaborated on, so I expected there may be a looting or crafting system built into it as well. Reports state that it’s an action RPG at heart, so there should be an in-depth leveling system included. I’m a really big fan of the visual style. The colors and art looked great, and really made me interested in the world even more. This was the one game I came out of E3 dying to know more about. Here is the debut trailer. I decided the game of the show should, ultimately, be the game that “wow’d” me the most. That distinguishment belongs to Super Mario Maker. Every time I saw a demo of it, I would find something new to marvel at. The near-instant Mario skin swapping won me over first. I can make a level and see how it would look as either a Super Mario Bros, Super Mario Bros 3, Super Mario World, or New Super Mario Bros level and test to see which style it plays best on. I thought this game looked interesting when it was announced at E3 last year, but I was afraid there would be typical Nintendo caveats that held it back from being the game it could be. Nintendo answered all of my fears this year. I was afraid the physics wouldn’t change with the game skin, which if you’ve played the Mario games, you know is a huge deal and difference. The physics and controls completely change depending on the skin you’re using. For instance, if you’re on the New Super Mario Bros, you will have the wall jump, or the spin jump if playing on Super Mario World. Then, I was afraid you wouldn’t be able to make worlds or that you would be limited to making very short, boring, dull single stages. There was a limit to how long a level could be, but it was a perfectly fine amount. Also included is the ability to make explorable pipes for players to enter in your stage. On top of all of this, you can indeed make your own worlds with multiple levels. I thought that game would be a failure if I couldn’t make the original Mario game inside of it, and it appears I absolutely can. Next, I was afraid the online capabilities would be lacking, because that’s the Nintendo way, right? Not only is the online what I wanted it to be, it’s more. You can upload your levels and worlds for others to play, and play other user creations without having to download them to your hard drive. You can also browse user created content by what’s hot, what’s new, hardest, and many other options. I love that it gives you the percentage of success on any given level. Also, players can leave hints around levels for other players, similar to the Souls games (I never thought I would compare Mario to Souls). Nintendo’s awful press conference couldn’t even deter my interest in this game, so that’s saying something. 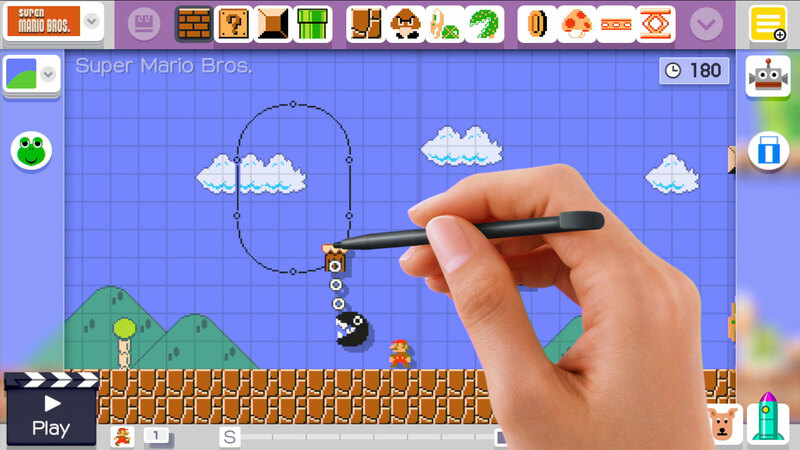 If I could have any game from E3 tomorrow, I’d have to go with Super Mario Maker. Thankfully I won’t have to wait too much longer, as it releases September 11th. Just see for yourself how smooth and great this game looks. That’s a wrap on my E3 2015 coverage! Thanks for reading and stay tuned for whatever is next.